I spotted these adorable mini photo frames at my local Dollar Tree and knew exactly what I wanted to do with them! They were located in the frame section and came three to a pack! Wow, you just can’t beat 33 cents a piece! They were intended to be magnets but I had other plans for them. I began by converting some of my favorite pictures to black and white and cropping them to the appropriate size for the frames (1 1/2 X 2 inches). I used a publisher program to do this. Once I had my selected photos printed and cut out I assembled them into the frames. I then cut strips of white organza ribbon for the hangers. 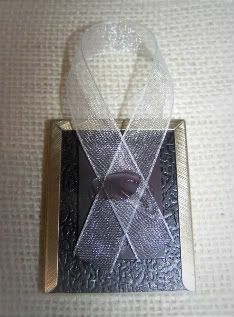 Using my glue gun, I looped the ribbon crossing the ends and hot glued to the back of the frame right over the magnet. Once the glue was dry they were ready to hang ~ How simple and easy is that! 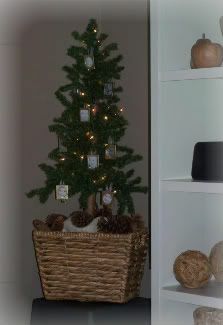 I already had a 3ft tree which I strung with a strand of white twinkle lights and placed in a hand woven basket. It is so much fun to shop your home for items you need!! I supported the base of the tree with some heavy items and covered it up with scraps of white burlap (my favorite). Added some pinecones to the top and hung the framed ornaments. It’s the perfect holiday addition to our family room and the white lights provide the perfect amount of twinkle for the corner. I have some of those frames, Don’t you just love the dollar tree. What a cute idea! Thanks for sharin it! That is SO clever! Great job on these ornaments! I have so many Christmas trees and needed ornament ideas…what a great idea!!! I absolutely love this idea! Very personal and heartwarming for the holidays. I know my Mother-in-law would love to have one! How pretty! I bet you could get lots of different looks with a little spray paint, too. Love this! Such a great idea. 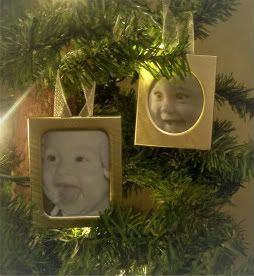 I love personalized photo ornaments. Thanks for sharing this idea. So darling. I love those cute little faces :). So easy! And they look so beautiful! That’s my kind of project! SOOOO CUTE! We put a framed pic on our christmas tree every year! It makes it so personal! very cute and sweet! love this idea, and I love the dollar store! 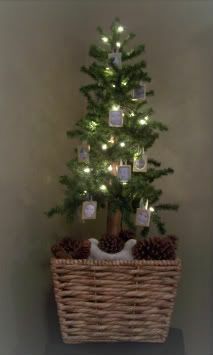 What a cute idea for a tree! 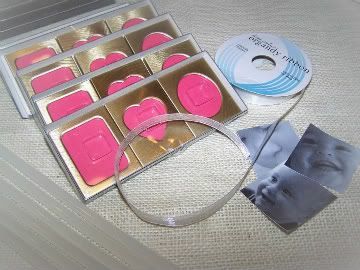 super cute & easy idea! thanks! That is a super idea. You could even modge podge wood and make it look like a package and have a BOW on top. 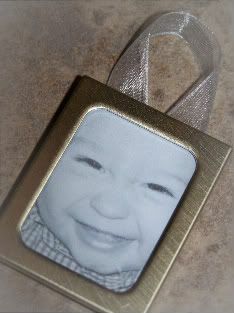 I have posted your photo ornament link on my site. If you would like to link back it would help both our sites. Please let me know if that’s okay. Thanks, Noreen.